@ReggieKansas Self basically kicked Vick off the team because Vick didn’t want to step up and be a leader next season. Vick ain’t coming back to Kansas. At this time he is better than anyone left. Good Vick can be very good…remember that not that long ago we thought next season’s team could be his team? I would happy to see Vick return, with the people left that we could add to the roster, he is easily the best option. Dang, really makes me wonder. Pretty clear he was forced out. Obviously nothing official will ever be said. About time you stopped with the foolery and got back to Lawrence LaGerald! To be honest kinda disappointed in some of the negative stuff being said about Vick, was he forced out? Maybe. The point is we don’t know and probably never will, but people saying he has a attitude problem don’t really know. I got a friend that works up at KU (Name and rank won’t be disclosed lol) that said Vick is the quietist guy you could meet and is very similar to Perry Ellis in that regard. I never got why people were so hard on Perry for being himself. 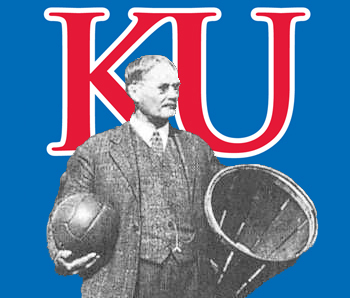 @kjayhawks Agreed. This could be a really great thing for KU if LaGerald decides to return. Sounds like he is more than likely heading to the G League but if he chooses to play at KU for his senior year it will be a returning veteran who knows the offense, is a proven shooter, a proven winner, a returning starter and a guy who has played in countless big games. Seems logical to me to be excited about the possibility of his return since we all know how much we will have to rely on young guy in the backcourt. If he returns I trust that Bill and his staff will be ready for whatever baggage (if any) that he returns with. No mystery here - - - Vick is not coming back to KU. - -His mom even said it was time for someone else to have their turn at KU , Don’t know exactly what happened - -some say forced - - maybe , who knows - - there were times he just looked disinterested - -not motoviated - -so quite easily to see why his starting role left for awhile - there were games he just seem no where to be found. The only reasons I could come up with for why he may not be welcome. It’s all old news. Nothing I remember Perry doing either. The most likely scenario for Vicks departure to me would be lack of interest in school on his part or on KU’s part encouraging him to leave to make a bit of room for a top recruit by mentioning potential loss in playing time. Now that he’s seen the lack of interest from the NBA and KU not landing a recruit there is a possibility Lagerald coming back would be a win for both parties. Having a senior around could be nice but as previously mentioned Vick is a quiet guy that is unlikely to jump into a vocal leadership role. He could however provide some stability if the younger crowd gets a bit to wound up during a game. I like Vick, and wherever he ends up I’ll be rooting for his success. @Kubie Lots of speculation that Vick was well behind academically. @BShark I fear that goes along with the tired of school thought. Why bother keeping up if you don’t plan on coming back is a common thought, but not a good choice. For god’s sakes: take him back. He needs us and we need his shot, defense and experience. Heck, he might make it up to 40% from trey and be our only legit outside threat! Remember: Bill gave Tyshawn Taylor time off DURING a season to sort himself out. I will be stunned if he ends up back at KU. I seriously doubt it. Would also create an awkward log jam where someone in line to get minutes now wouldn’t. Also Vick’s defense was pretty poor. @dylans I’m not saying he didn’t get in trouble or that perry did. Just saying people claimed Perry didn’t care or give effort because he was a quiet guy. @kjayhawks I see. I liked Perry a lot. Personally I never had an issue with his effort. He just couldn’t score over length. Having a 33+ mpg, .373 3 point shooter from a Final Four team return can’t be bad. The most glaring reason we may be fine without him. At times his shooting was good especially the early part of last year and then the NCAA’s. Without tuned in LV this team doesn’t make the final 4. Tuned out LV was a mess, almost two straight months of it. Can’t happen again. His athletic ability impressed us all but he rarely made athletic plays that weren’t dressed up for him. Spectacular dunker/flyer absolutely. Failed to finish with contact regularly and his ball-handling was certainly not a strength. He tanked his own draft stock which was pretty darn high for a player who was under the radar. NBA teams tank, LV tanked his future this year. Now look at his options with La La nutso running the show. Hope he gets it together. Would love to see him end his career here with a chance at full redemption, seems slim though and unlikely. If we are even a smidge right about this past year with him he’s not even close to ready for this next step. The kicker is did Self show him the door without drawing attention to it as we’ve seen with others? I believe Vick is gone. I could be wrong but Self has shown high level prospects the door before. Bragg, Greene, and Tharpe came in and left under the same conditions and all 3 have had problems. AW3 was the only guy that left and was successful BUT he wasn’t shown the door, he just wanted PT and was recruited over. Okay so people that view critical analysis as negativity/bashing might want to avoid reading this post. Spot on about his consistency issues B. @JayHawkFanToo Vick’s shooting could be good, but it’s his shooting vs…everything else when compared to Garrett. Garrett can dribble/handle, pass and defend. Things that Vick was often averse to trying or just shouldn’t bother (dribbling). I think the combination of KJ and Garrett won’t shoot as well as Vick could at times, but overall will play better, consistently and be more of a net positive for the team. Hell his advanced numbers weren’t all that different than Garrett last year, but thing about Vick is he could go supernova, or give you next to nothing on both ends. He also did not show much improvement from the previous season, whereas Garrett if he does improve his shot even a little bit becomes the far superior option. KJ’s advanced stats on a bad Memphis team were not that great. He and Dedric had to be the guys though. If he can take to being a glue guy, move the ball and defend he will be very good for KU. KJ is also 22 now, so he will be a bit of a man playing among boys. Technically a SO, with the age of a SR. So if he comes back there is a minute crunch. Dotson, Moore, Grimes, Garrett and KJ are all expecting to play. Self really only plays 5 guards, so Vick coming back would really throw a wrench in things, and I’m not even sure that he would be ahead of anyone. If Self had options last year, I think Vick would have found the bench more. I think Vick could return. I don’t think Vick does return. Sometimes you need a different environment and a different voice to reach your full potential. I think that is the case with Vick. He has grown as much as he can grow at KU for a variety of reasons. Now, it is time for him to move on. I do think he has basketball in his future. He has a lot of talent if he can get more consistent, and he fits well in the modern NBA as a 3 and D wing when he is engaged. I could see him getting a shot in the G League. The playoffs have proven that every team needs at least 3 wings that can handle that responsibility. Teams are going to be willing to take the risk in the G League to see if he can develop. He needs to really work on the d part but he can definitely be an alright spot up shooter and have a pro career somewhere. You make good and valid points; however, he had a good to very good first half of the season before his off-court issues distracted him resulting in a sub-optimal stretch. Having said that, it is hard to think that…the player that had the third most minutes of play, only Devonte and Svi had more, averaged over 12 ppg for the team that made the Final Four and would be the projected best shooter from 3…is a bad thing. Having seen how hard is out in the real world, I would think he would now have a better appreciation of what the extra year can do for him, i.e. making a nice living playing pro ball or becoming another promising player that did not make it, so it is not inconceivable that he might yet see him play his best ball. @JayHawkFanToo I think if he were making the choice then I could see all the merits to returning to KU. I don’t think it is entirely his choice. By now there are no undeclared or transfer players left worth a scholarship and KU has one available. Given the potential upside, Coach Self might take him conditionally subject to re-evaluation and zero tolerance.